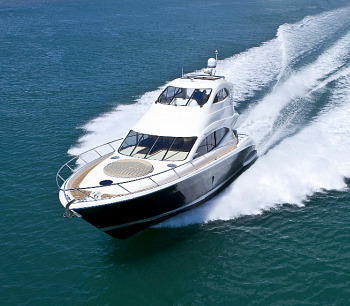 Australia’s premier luxury boat builder, Maritimo, has appointed a new Dealer in Adelaide, South Australia. The highly experienced team is headed by Dealer Principal Paul Harrop and Managing Director Andrew Craddock. Paul Harrop and Andrew Craddock have worked together for more than 10 years. Paul Harrop said that four new Maritimos had recently been delivered to Adelaide with two more being built at the company’s Gold Coast facility. “There are now a new M56 Cruising Motoryacht, an A60 Aegean and two Sports Cabriolets – a C50 and C55 – being enjoyed by their owners in our waters,” he said. Paul Harrop said the new Dealership, based at Marina Adelaide in Largs North, would offer a comprehensive range of services, from new boat sales and service to vessel management, brokerage and insurance services. 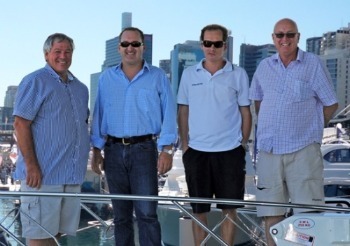 “We are also looking forward to organising a Muster event and a number of other on-water and off-water events for our clients this year,” he said.